Island near Crete, this view is from a Venetian Fortress sitting on a top of the hill. Water is just amazing there. Taken from a roof of the Zafolia Hotel. Found many years ago on Rhodes, Greece. 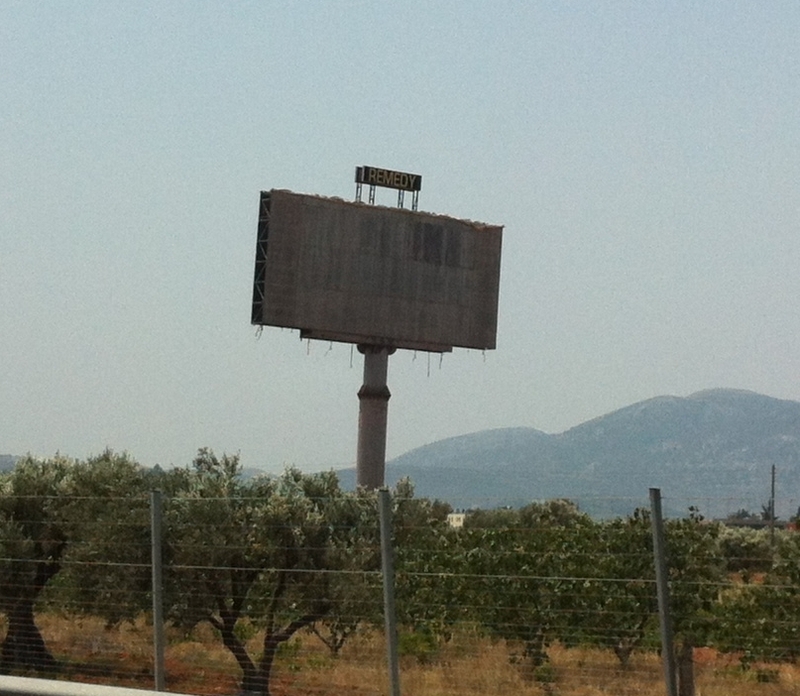 I was recently in Athens, Greece, only for a day, so I didn’t unfortunately get to see any famous landmarks. When I landed there I was curious if one can see any signs of crisis and I was intentionally looking for them – and except the empty advertisement spaces on big billboards, I haven’t really found none. But the billboards are really weird, I have never seen anything like this anywhere else. During the whole drive from and to the airport, which took maybe 45 minutes each way, on both sides of the highway all of those (with exception of maybe two) were empty. 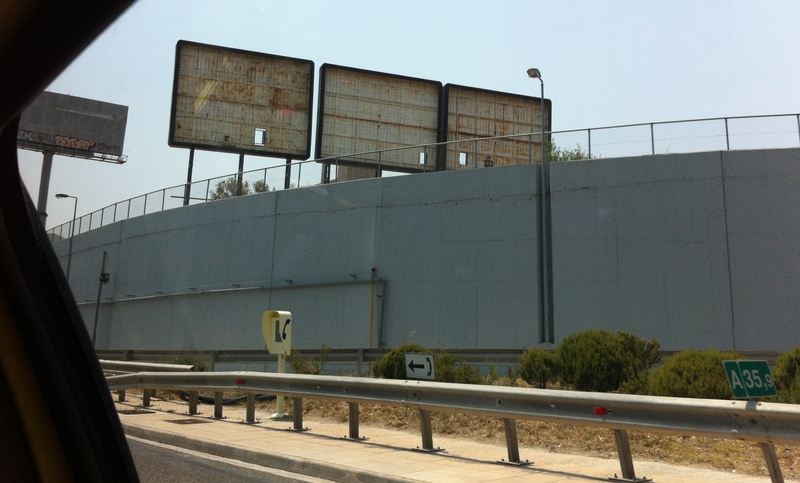 One of the companies renting them is called “Remedy” (at least I think so) and the billboard seems to be asking “Remedy This…” I guess it was to be expected that businesses will cut on any possible avoidable expenses, but that what I saw was really depressing. I wonder what comes next or what expenses not visible to us are already cut. We really need to help Greeks to Remedy This somehow.